In “Talk”, Khalid takes on the role of someone who indeed appears to be in a loving relationship. For example, he expresses enthusiastic anticipation towards seeing his sweetheart and is clearly committed to her. 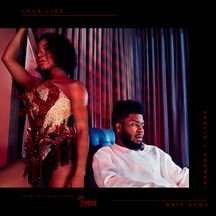 When asked about the theme of this song, Khalid himself said that the relationship featured in it is in its “honeymoon stages”. However, he does have one major gripe with the romance. And what’s this gripe? In his eyes, it is moving too fast. As such “Talk”, serves as an entreaty to his shorty to open up the lines of communication and get constructive dialogue going on to deal with this issue. His rationale behind requesting such is that he believes practical discourse will minimize the possibility of him and his lover getting “lost”. So he wants her to share her inner thoughts, just as he is apparently willing to do so himself. This appeal for open communication is not based solely on Khalid’s fear of the unknown. It is also grounded in the fact that he is in love like never before and apparently is trying to get a better understanding of his own feelings. Indeed Khalid insinuates that it may be his own actions that are causing the romance to develop at such an unnervingly-rapid pace in the first place. So he concludes that he and his shorty need to plot a destination of where the two of them are headed together. Writer(s): This track was written by English brothers Howard and Guy Lawrence (collectively known as Disclosure) and Khalid himself. Producer(s): Disclosure also produced the track. 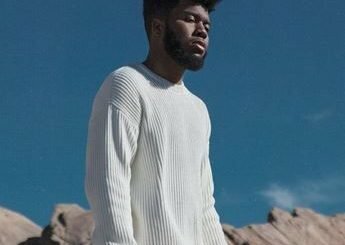 Album/EP: This is the first single off of Khalid’s upcoming, currently-untitled album that is set to be released in April of 2019. Release Date: This track was released on 7 February 2019. Record Label: There are two labels are behind the release of “Talk”. These are Right Hand Music Group and RCA Records. 1st Interesting Stuff: This collaboration between Khalid and Disclosure came about after Howard and Guy presented Khalid with the instrumental. And he was so impressed by it that he “hopped on it for sure”. 2nd Interesting Stuff: This song premiered on Beats 1, a radio station owned by the technology mega-company, Apple.